Andre Agassi spoke with ESPN.com's Rick Reilly earlier this week and Agassi showed his remorse for what transpired at the recent Hit for Haiti 2 charity event when he took joking around too far by insinuating that Pete Sampras is "a bad tipper." 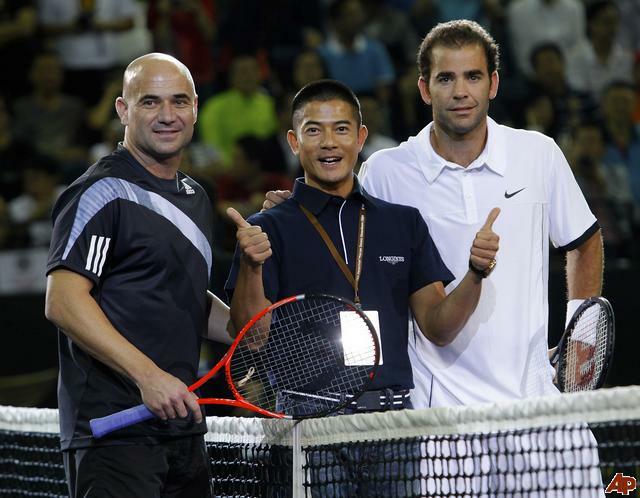 "It was out of line," said Agassi. "It was inappropriate. The night was on fire. We were all having fun. I was trying to be comedic. I only had a split second to make a decision. I went for it and it fell flat. I was trying to get past it, but Pete didn't really let me get past it. He didn't really roll with it. I've texted Pete to ask him if I can apologize in person." Agassi continued, "The joke fell flat and I'm sorry. My hope was that the night was still enjoyable. My whole book is about living and learning, and I guess you never stop." So far, Sampras has yet to respond to Agassi's text message directly, but has described the whole situation as "regrettable and awkward."